Daryl Johnson (Worcester Park, United Kingdom) on 28 December 2007 in Architecture and Portfolio. 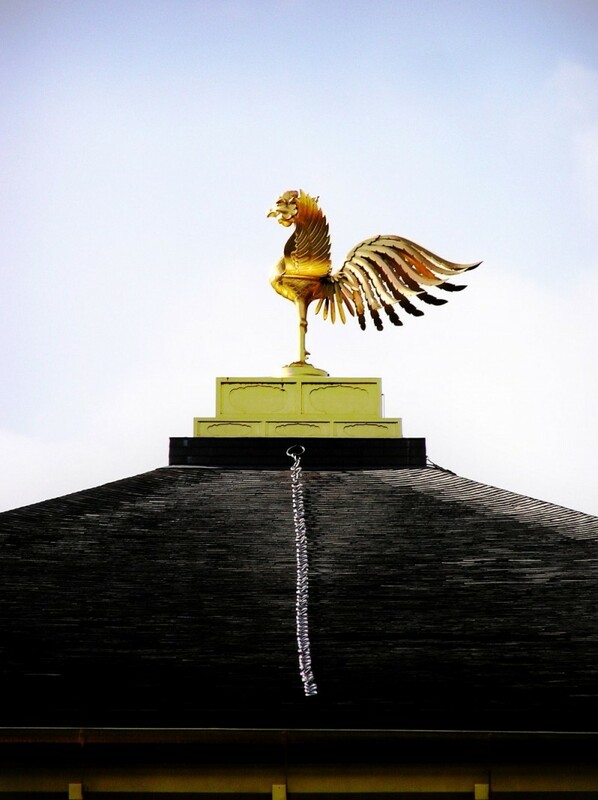 This phoenix sits atop the golden pavilion (Kinkaku) at Kinkakuji, Kyoto. @Lorraine: Thanks Lorraine. I will check tomorrow! This image is texturally beautiful, the colour, contrast and lighting are all really striking. Simple but very effective, great colors. Is the chain some kind of lightning rod? @Wolfgang Prigge: Thanks Wolfgang. I think the chain is decoration. There is a separate lightning rod - all old buildings such as this in Japan have one somewhere. Ahhhhhhh! This is a very well thought composition!! !Very artistic and very impacting!!! BRAVO!!!! Nice shot and the golden colours look great!